teachscape — Some innovative products for classroom observation; again, very helpful for having student teachers record their student teaching for professors to critique back at campus. This tool offers better functionality for asynchronous commenting. Teachscape Focus – Will include the Framework for Teaching Proficiency System and the Framework for Teaching Effectiveness Series. Teachscape Focus is designed to focus and align educators on a common definition of teaching effectiveness relative to Charlotte Danielson’s Framework for Teaching. Teachscape Reflect – Will include enhanced versions of Teachscape Walk, Teachscape Reflect Live, and Teachscape Reflect Video. The new Teachscape Reflect system supports multiple measures evaluations, and combines in-classroom and video-based observation data with measures of student learning, surveys, and artifacts for a holistic view of teaching effectiveness. Teachscape Learn – Will include an expanded version of the current Professional Learning Suite, our research-based preK–12 course library, as well as a new learning management system, online learning communities, video capture and sharing tools, and personalized learning plans. Teachscape Advance – Teachscape’s new talent management system will help districts organize, train, and align district staffing to best meet student needs and support larger strategic human capital management goals. The system includes tools for goals alignment, career path and succession planning, and competency management. LEXINGTON, Ky. (Aug. 1, 2012) — Several Kentucky school districts have started working with the University of Kentucky College of Education in a unique partnership to innovate and improve schools. The districts are participating in the college’s Next Generation Leadership (NxGL) Academy, an output of its Kentucky P20 Innovation Lab. 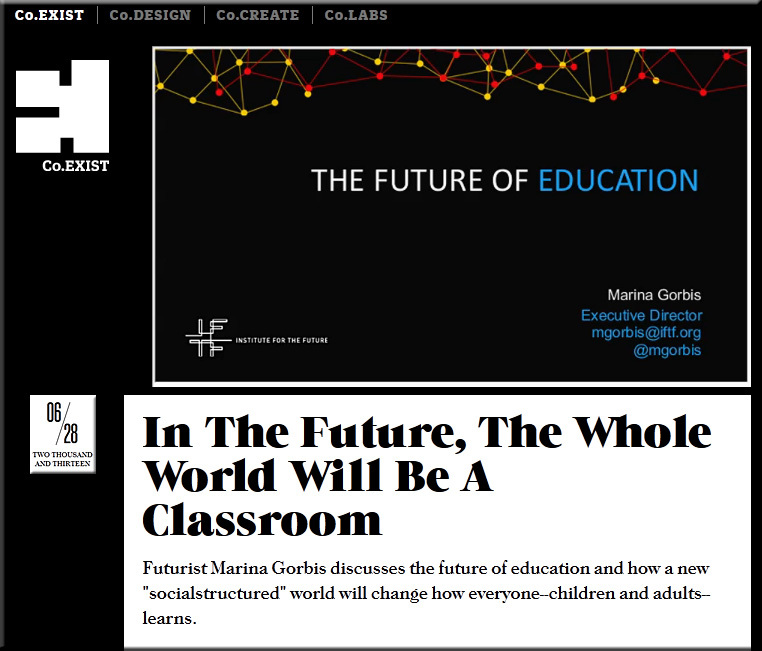 In my dreams, [insert city] would open a Fab Lab for Education. The Fab Lab for Education is a place where educators with big ideas can prototype new approaches to education and operate them for six weeks at a time with real kids. In other sectors, fab labs are mini-workshops where inventors can make “almost anything” without re-tooling an entire factory. 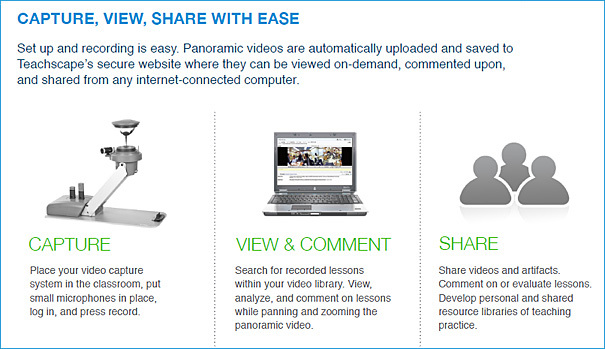 Educators should have a place to try amazing, new ideas without “re-tooling” a whole school. For educators, getting selected to prototype their big idea is a huge honor and people travel across the country to see their work. By the way, they don’t have to quit their jobs to do this and everyone knows that not all the programs will succeed. The Fab Lab for Education is a highly flexible and customizable space, kind of like the Exploratorium in San Francisco. Philanthropists stock the lab with all the things needed to test out new ideas: 3-D printers, legos, amazing books, art supplies, post-it notes… basically whatever the educators need. Great, innovative thinking Alex on this posting. Speaking of such dreams, it’s my dream to have such a place here on campus where folks could “kick the tires” on various technologies — where educators, faculty members, etc. 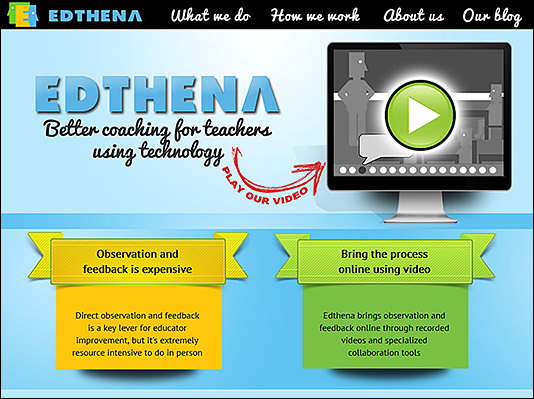 could collaboratively work with each other and with educational technologists. Before a “standard” gets put into place (i.e. such as an implementation of an interactive whiteboard), such a facility could help people test out a variety of potential pathways. 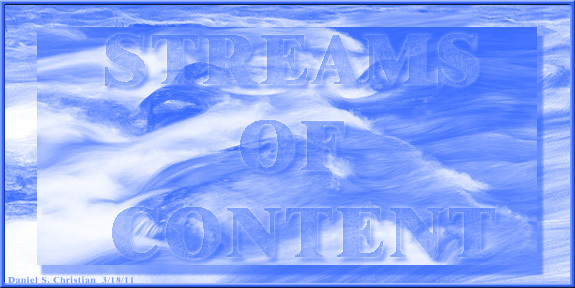 Ideas emerge and they morph into something else. Innovation could occur. Emerging technologies could be identified and tested out. My thanks to Dr. Kate Byerwalter and her colleagues for passing along this resource. The tags/associated categories for this posting point out the relevant areas covered. (CBS News) Sal Khan is a math, science, and history teacher to millions of students, yet none have ever seen his face. Khan is the voice and brains behind Khan Academy, a free online tutoring site that may have gotten your kid out of an algebra bind with its educational how-to videos. 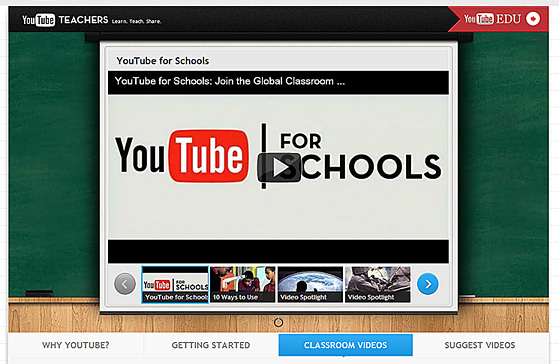 Now Khan Academy is going global. Backed by Google, Gates, and other Internet powerhouses, Sal Khan wants to change education worldwide, and his approach is already being tested in some American schools. Sanjay Gupta reports. i.e. 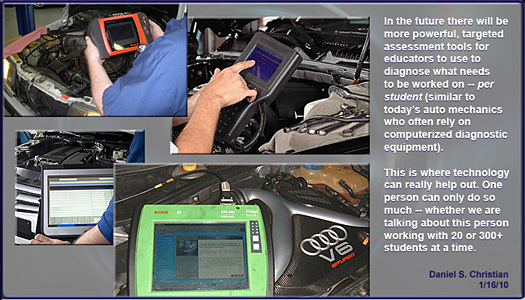 Highly-effective diagnostic tools for the educators and trainers out there! California is on the precipice of implementing the Common Core State Standards (CCSS), which were developed through an initiative of the National Governors Association and the Council of Chief State School Officers to reflect the knowledge and skills needed for success in college and careers. In California, one of 45 adopting states, the standards represent a significant shift in expectations for both teaching and learning, not just in English language arts (ELA) and mathematics, but also in literacy related to science and history/social science. The newly adopted standards call for a deep conceptual understanding of the content in ELA and mathematics and, also, for the ability to apply this content to other disciplines. New assessments aligned to the standards are due to be implemented in 2014-15. It all sounds good. But are teachers ready to teach to the new standards? Who determines which courses/topics are included in the standards — both now and in the future? How often will they be updated to insure the foundations are truly foundational to our students’ futures? I would like to see some solid foundations being built as well — as I assume that’s what the standards seek to implement. I just hope we can provide places for students’ wide variety of passions to be identified, explored, and strongly nurtured as my economics training taught me that we all win when each of us does what we do best. Can someone educate me on these standards? What are the upsides and downsides — the pros and cons — of these standards? Thanks! 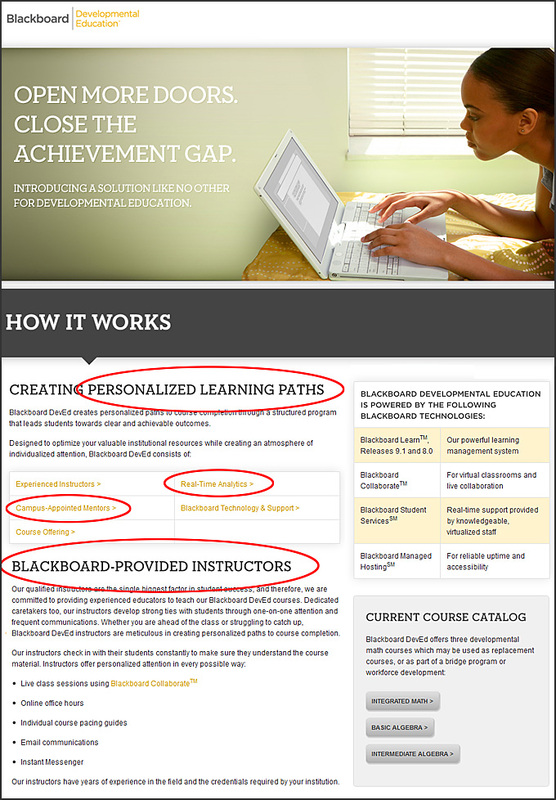 WASHINGTON – February 22, 2012 – Blackboard Inc. today announced the official launch of Blackboard Developmental Education™ (Blackboard DevEd), an innovative approach aimed at improving student outcomes and increasing completion rates in an area where many institutions have struggled. The solution, which was first piloted by several institutions in the fall, now includes built-in assessment and analytics tools that enable course instructors to further personalize their instruction. First of all, my congratulations go out to Blackboard for innovating! Nice work. This should be another shot across the bow of how institutions of higher education are training our future teachers — student teachers NEED to know how to teach online!!! Teaching is complex, requiring in excess of 3000 decisions each day in the classroom, reports Ferry and Kervin (2007). This poses serious challenges to pre-service teacher education, aggravated by the theoretical education often fail to prepare students for the practicalities of the classroom. Simulated (virtual) classrooms are seen as a means to prepare students for their future role as teachers.